Social phobias, as you may guess from its name, are persistent irrational fear associated with presence of other people. Remember how we sometimes get tongue tied at the interview boards? Social phobia is an extreme form of this kind of discomfort. Often extreme feelings of shyness and self-consciousness build into a powerful fear, so that it becomes difficult to participate in everyday social situations. People with social phobia can usually interact easily with close and familiar persons. But meeting new people, talking in a group, or speaking in public can trigger the phobic reaction. Often situations where one might be evaluated become the phobic situation. All of us may have occasional social anxieties, especially under judgmental situation. But a person with diagnosable social phobia often becomes incapable of normal social interaction. 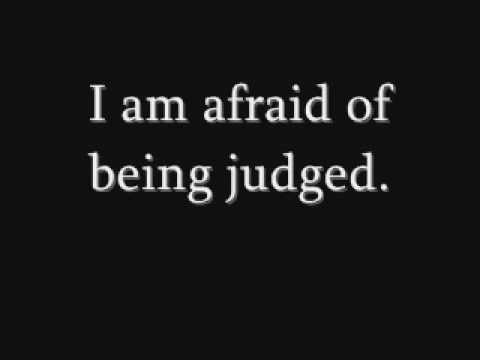 People with social phobia fear being judged on embarrassing themselves in front of other people. Social phobia creates severe disruption in a person‘s daily life. People with a social phobia may avoid eating or drinking in public, for fear they will make noises when they eat, drop food, or otherwise embarrass, themselves. They may avoid writing in public, including signing their names, for fear that others see their hands tremble. Men with social phobia will often avoid urinating in public bathrooms for fear of embarrassing themselves. People with social phobia tend to fall into three groups some people with social phobia fear only public speaking. Others have moderate anxiety about a variety of social situations finally, who have severe fear of many social situations, from speaking in public to just having a conversation with another person, are said to have a generalized type of social phobia. Social phobia is relatively common, with about 8 percent of the U.S. adult population qualifying for the diagnosis in a 12 month period and one in eight people experiencing the disorder at some time in their lines Women are somewhat more likely than men to develop this disorder. Once it develops, social phobia tends to be a chronic problem if untreated. Most people with a social phobia do not seek treatment for their symptoms. But it can be treated. The only need is awareness of this disorder. Please share this article. YES I M SUFFERED FROM SOCIAL PHOBIA. PR MAIN ISSE BACHNE KE LIYE KYA KRU???? It is good artical ???? u can mention how to get over it ? Mujhe bhi phobia hai. Or mai khi bhi Jane ko dil nhi kerta.mujhe Dar lgta rehta hai k khi mujhe potty na a jae. Or jha per bathroom dikhta hai to thik feel kerta hu.fir mujhe lgta hai agar potty a bhi gai to bathroom to pass he hai. Baki mujhe or koi bhi dikat nhi hai. Mujhe btao ki mai kya kru.